Summer is on the horizon, and the time has come to kick back and relax under the sun. It's time for beach days, barbecues and pool parties, and for any serious weightlifter these activities also mean one thing: it's time for the shirts to come off and to showcase that rock-solid physique they've been working on all year. No one wants to be walking around with a soft, smooth and flabby body, and for the next month or two, all of those serious lifters will be shifting into "get ripped" mode. This has always been a widely accepted method of "cutting down" and if you ask most trainers in the gym they'll tell you that "heavy weights bulk up the muscle and lighter weights define the muscle". 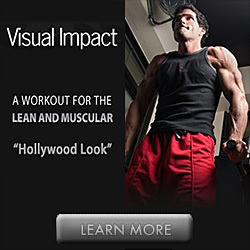 Do you want to know the reality behind the "light weight and high reps" method of obtaining a ripped and defined physique? Every single time you wrap your hands around a barbell, dumbbell or cable, your goal is to stimulate as much muscle growth as you possibly can. There are no special, secret weightlifting exercises that will "define" your muscles or cause them to become more "ripped". So how exactly do you "define" a muscle? Let go of the traditional method of moderate intensity cardio in 30-45 minute durations. If you want to maximize your body's fat burning capacity and also minimize the muscle loss that inevitably accompanies a fat burning cycle, focus on shorter cardio workouts performed at a high level of intensity. These types of workouts will shoot your resting metabolism through the roof and will allow you to burn maximum amounts of fat even when you are at rest. I recommend 3-5 high intensity cardio sessions per week, spaced at least 8 hours away from your weight workouts. That's all there is to it, folks. Take the notion of "light weight and higher reps" and throw it right out the window, down the street and around the corner. 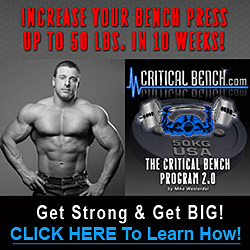 Following this misguided method will only cause you to lose muscle mass and strength, and will not assist you in burning fat or defining your physique.